Bunk beds are a favorite feature in kids’ rooms this year, as seen in the most popular photos of kids’ spaces uploaded and saved to Houzzers’ ideabooks in 2016. 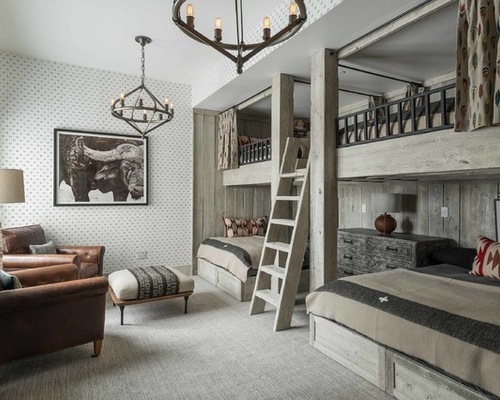 From space-saving desk nooks tucked under loft beds to bunk rooms that can sleep the whole crew, bunk beds are a real crowd-pleaser thanks to their versatility. Take a gander at these 8 spaces featuring bunk beds, then share which is your favorite in the Comments. 8. Luxury lodge. 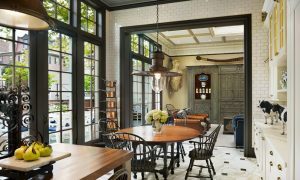 The hefty wood, rustic chandeliers and leather armchairs here look like they could have been pulled straight from a fancy mountain lodge — yet are sturdy enough to stand up to kids. And with twin beds up top and larger mattresses below, this space is flexible enough to sleep older kids or even grown-ups. 7. Play loft. 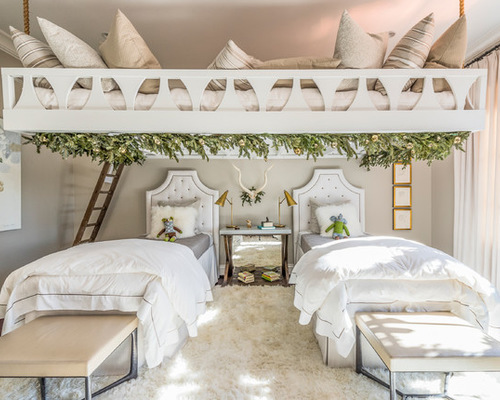 Spanning nearly the entire width of the room, this play loft has a dreamy vibe thanks to faux greenery reminiscent of a fairy-tale beanstalk and loads of pillows. A serene palette of white and beige makes the overall effect elegantly understated. 6. Corner bunks. Tucked into a corner, a set of bunk beds doesn’t waste a bit of space, and creates a cozy-feeling hideaway to boot. 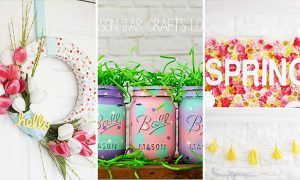 What to do with the space you save? 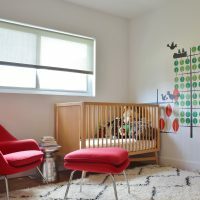 A hanging chair is a fun feature that younger kids and tweens alike will adore. 5. Super stairs. Instead of the typical ladder, consider taking a cue from this space and going with stairs instead. 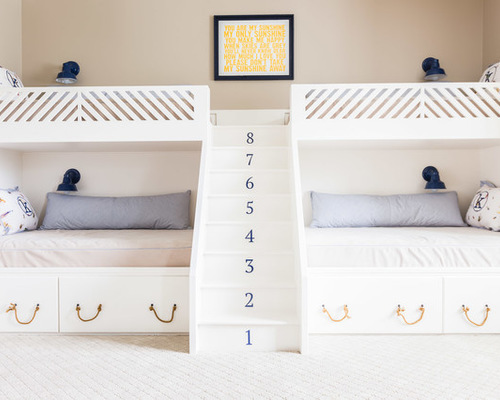 They make it easier for grown-ups to access upper bunks (helpful for bed-making) — and when embellished with house numbers or decals, they make a stylish statement too. 4. Pass-through. By building bunks into the eaves, these homeowners were able to create a combination sleeping space and home office. A palette of light colors and wood makes the space feel clean and crisp. 3. Industrial modern. 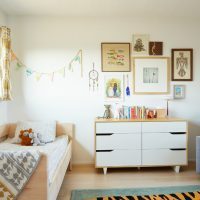 If typical kids’ furnishings just don’t mesh with your modern aesthetic, take a cue from these homeowners, who created a bunk room for their grandchildren. 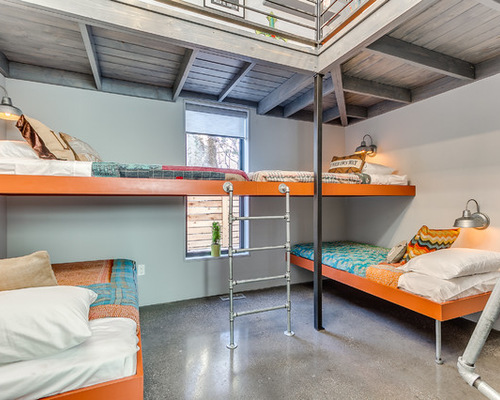 With sleek concrete floors and bright orange bunks with galvanized plumbing legs, this space is as modern as it gets. And since the top bunk overlaps only the foot ends of the lower bunks, the homeowners were able to install the top bunk at just 42 inches instead of the standard height of 60 to 72 inches. 2. White and wood. With a jute rug, natural wood bunks and simple, graphic patterns on the walls and bedding, this space has Scandinavian style down pat. And as a fun bonus, the lower bunk has casters, so it can be easily moved throughout the space — and its extra length allows the end to serve double duty as a bench. 1. Curtained hideaways. In this room, a pair of loft beds creates space for a desk and reading nook below, complete with curtains that can be pulled shut for privacy. 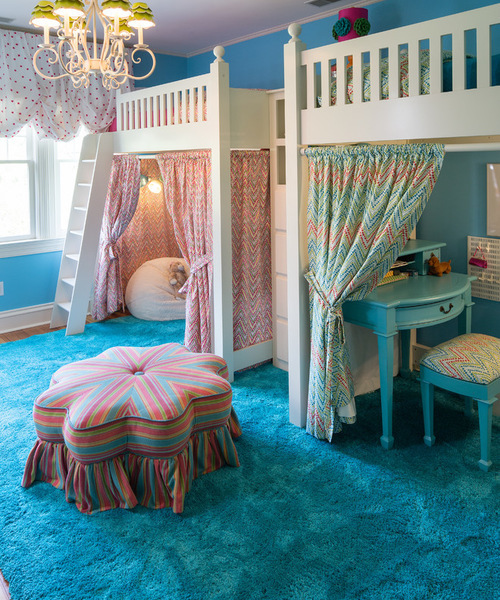 The vibrant rug, curtains and ottoman create a cheerful atmosphere sure to inspire pint-size residents.